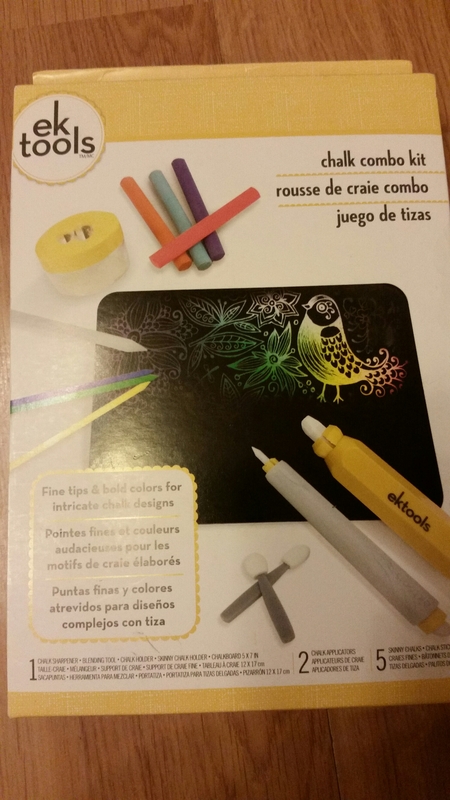 ​I was sent an EK Tools chalk set to review. I was really pleased as it is not my usual craft and I love trying new things! At first I was a bit apprehensive as there weren’t any instructions but I did a quick Google search and found my way with it. 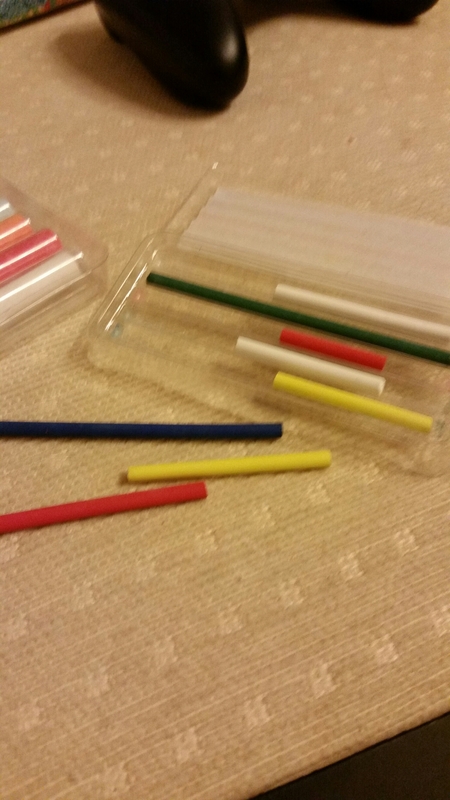 The first thing I noticed when I opened it was that the small chalks had broken. I think it was because it was a little hard to open the pack and the small chalks went everywhere! It was fine though as it didn’t affect their use at all! The kit includes a holder for the large and small chalks so that you can use them without getting too grubby. It also has blenders, an eraser, and a sharpener. 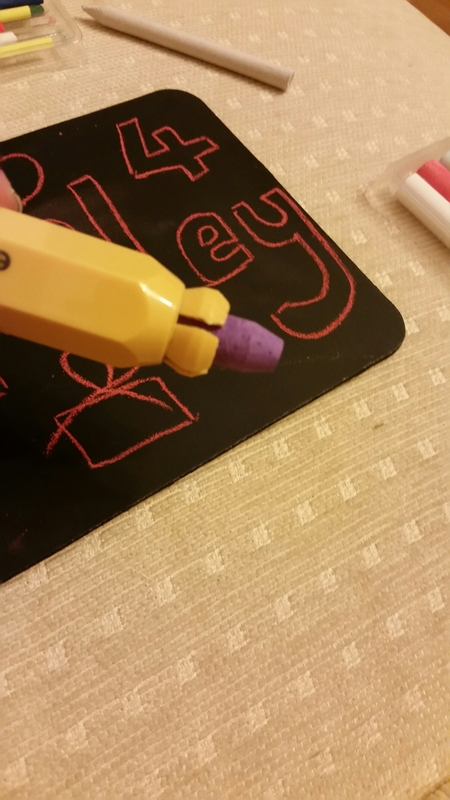 I found it hard to sharpen the small chalks as they kept breaking no matter how gentle I was with them. 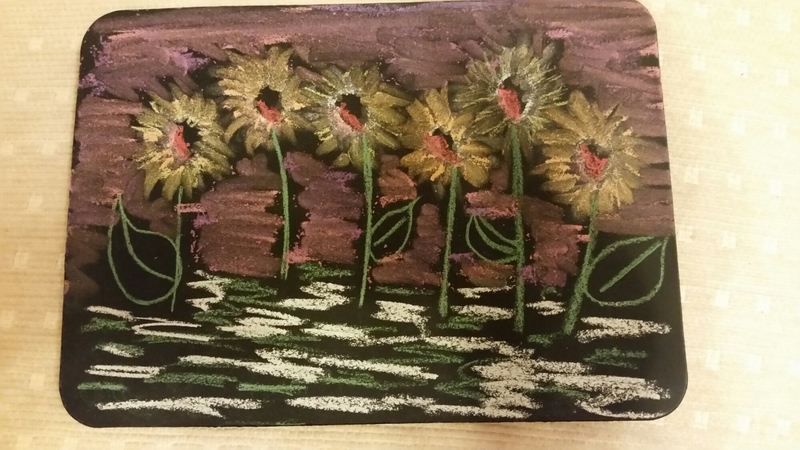 The large chalks were more hardy and I was able to sharpen those with no issue. My first attempt was a bit boring but my second was more creative and I got into the flow of using the different tools. I really enjoyed this. 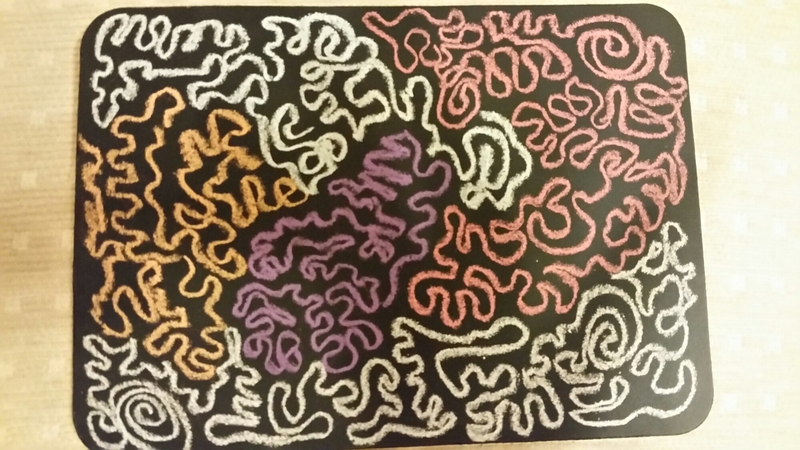 It was theraputic and calming like adult colouring and it was nice to be able to wipe it away and start again! I will be using this again and its great that it is something I can share with my boys as we love doing crafts together. 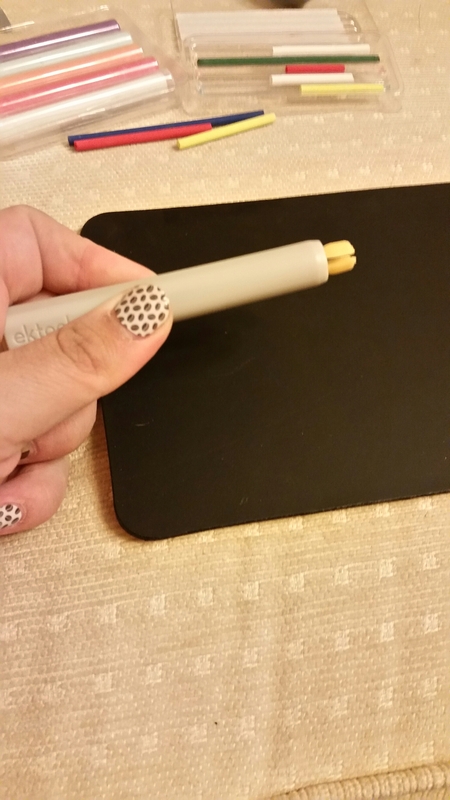 I’m looking forward to starting my next chalkboard creation! 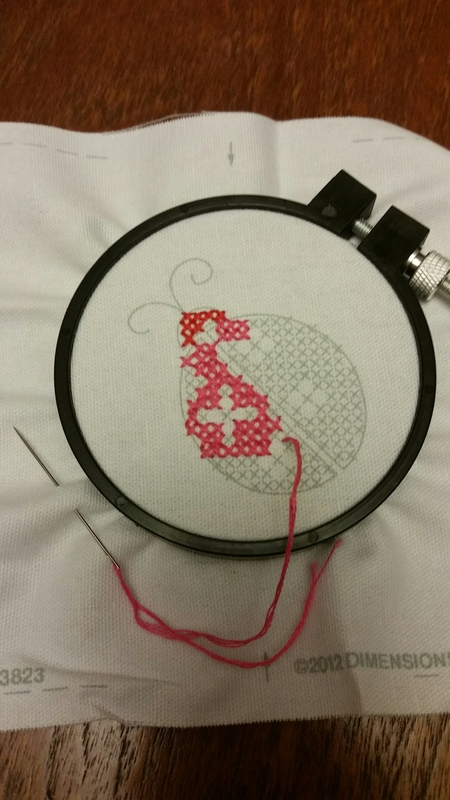 ​Im used to working with aida fabric when I do a cross stitch. 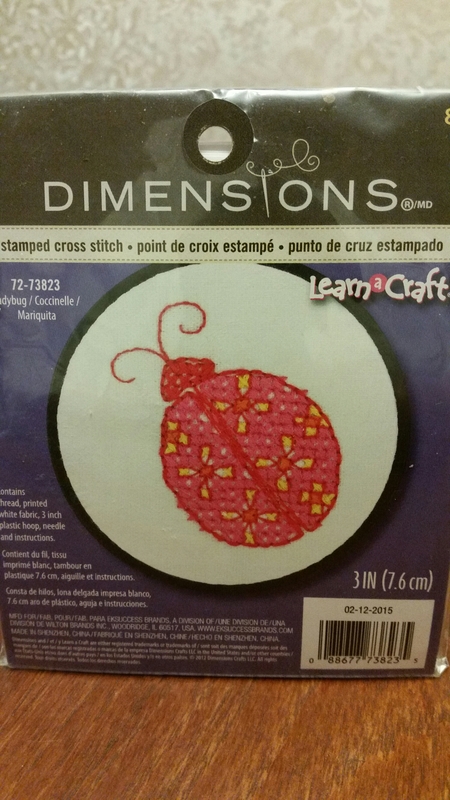 But when I was sent this Dimensions kit to review I decided to give it a go even though its not the fabric I am used to – I do love a challenge!! You can try one of these kits here. It was different to work on aida fabric and it meant I had to take more care in what I was doing. I soon got into it though and forgot I was even using another material! This was fun to make. It took me 2 days to complete and I was just working with it inbetween day to day jobs and being a Mummy so I could have done it a lot quicker if I had sat and done it all in one go. Something else a little different for me was the hoop to hold it in. I don’t normally use one but it was nice to have something to hold onto while I worked, and it did hold the fabric nice and tight. 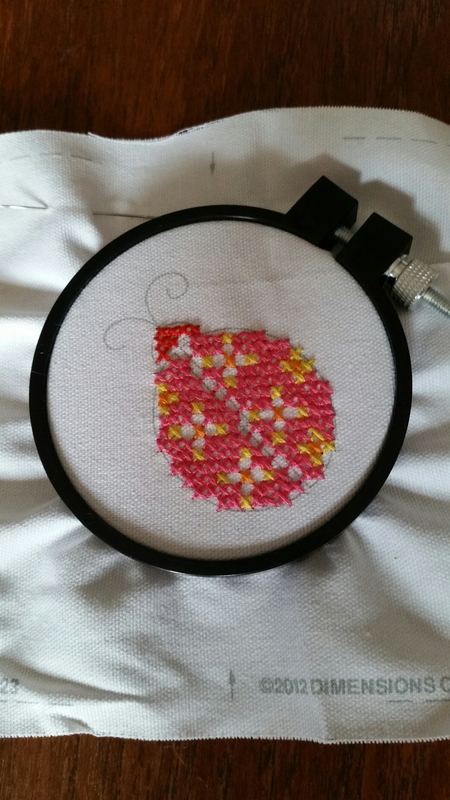 This pattern was easy to understand and easy to follow, and the design included some really nice bright colours. My 7 year old son was keen to see my progress on this as the previous week whilst camping I had taught him and his cousin how to do a cross stitch and they had enjoyed it so much! As you know I like to give personal presents and have been planning Christmas gifts since January this year. I’m really enjoying being more organised than I usually am for Christmas and it is nice to see all my projects stashed away safely waiting to be wrapped up in December. I wish I could tell you all who they are for but its a secret until Christmas day!! Ssshhhh!! These wash clothes are made from bamboo cotton that I got at the knitting show. These are really simple. 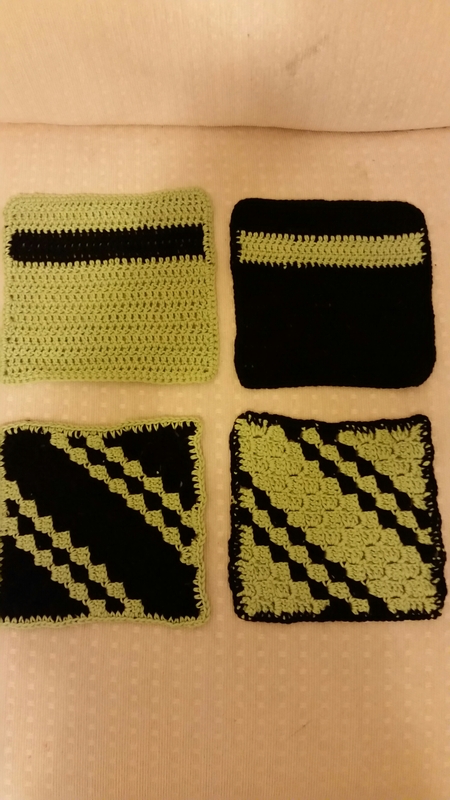 Two are just a corner to corner and the other two are treble crochet. They will be a set of two together and I will buy a nice soap to go with each set. 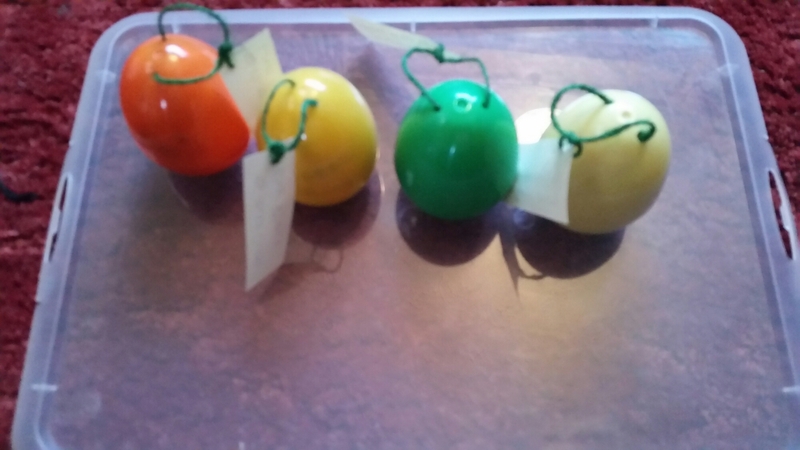 I did look into making soap and I may try it in the future but I decided I had enough projects at the time. 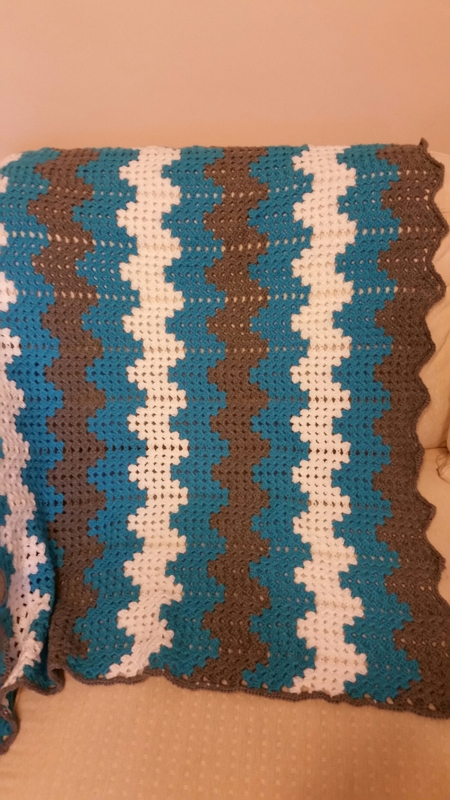 I have wanted to do the zig zag granny blanket for a while and have made this for a small boy in the family. It was really quick to make and I enjoyed doing it. I love the colours and used Stylecraft Special DK which is one of my favourites to work with. 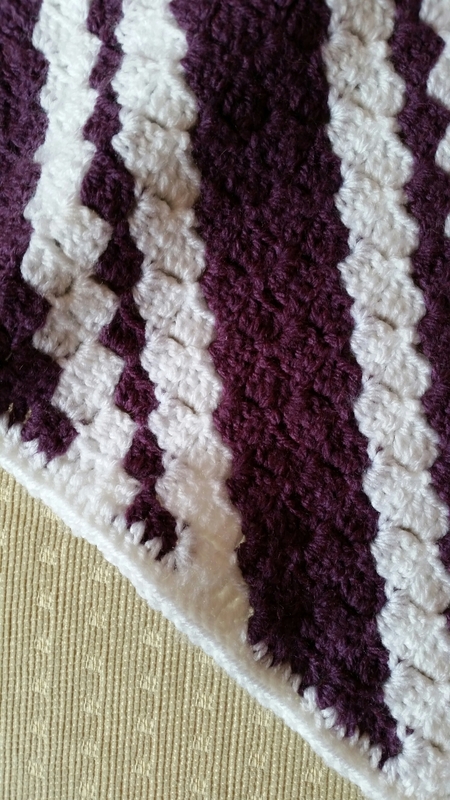 I used a simple double crochet as a border to keep it simple. 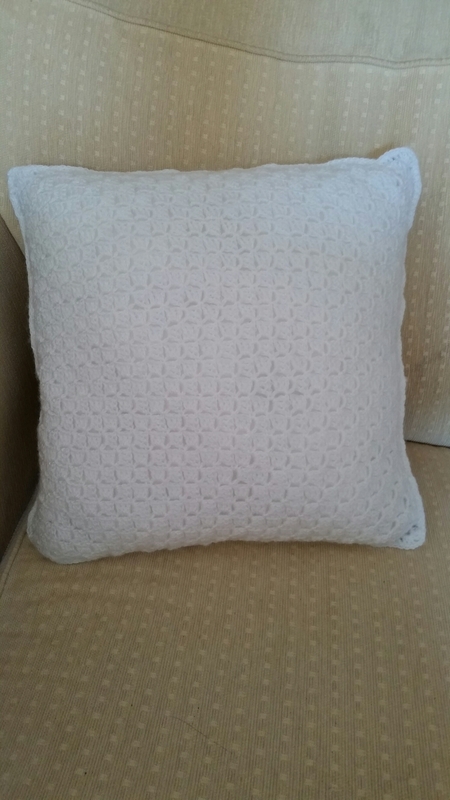 I couldn’t wait to start this cushion! It only took me a week to complete from start to end. It was fun to make and I love how it has turned out!! So pretty!! Everything I used for this was from Hobbycraft, even the cushion insert. 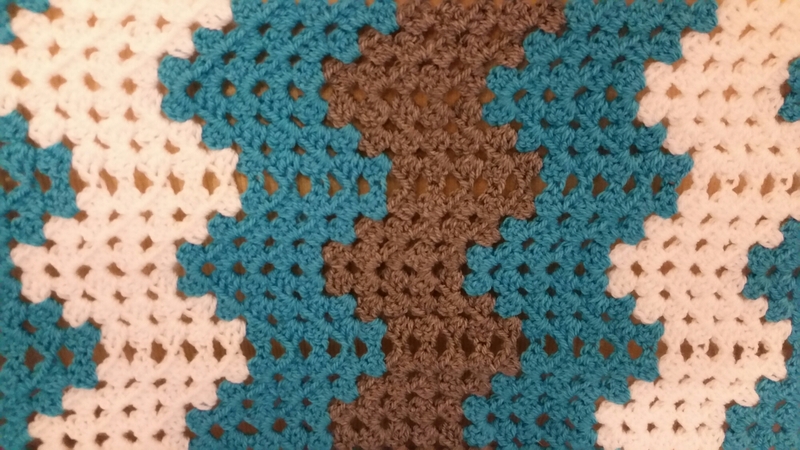 For the back, I decided to I wanted it fairly plain so did a white C2C back. I have a few friends that have either had babies recently or are expecting soon. I like to give a present for the new baby and like it to be something personal and hand made. I wanted to try the ‘call the midwife’ blanket ad I have seen so much of it on Facebook. It was so easy which is not what I had expected. It worked up quickly and looks so pretty and intricate. I did one in white with a pink border and because I loved doing it so much I did a second one in blue with a white border. I wanted to do something different next and had a whole bag of yarn to choose from. 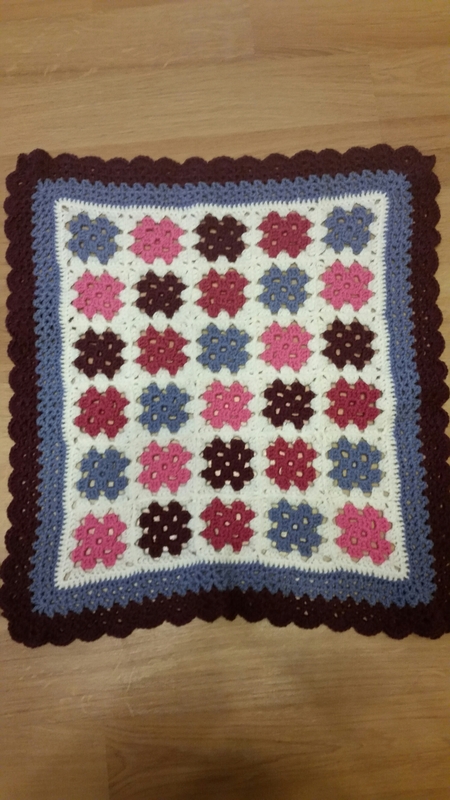 I went for some pink and purple mini granny squares and used the join as you go method to join with white. Then I did a v stitch border with the light and dark purples. This is simple but really effective! For the final blanket, I couldn’t decide what pattern to use. 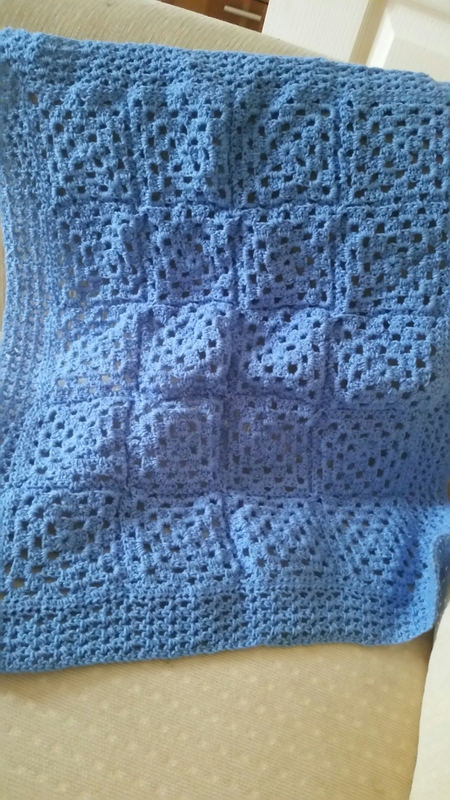 I started and frogged it about three times and then decided on a version of the classic granny blanket. 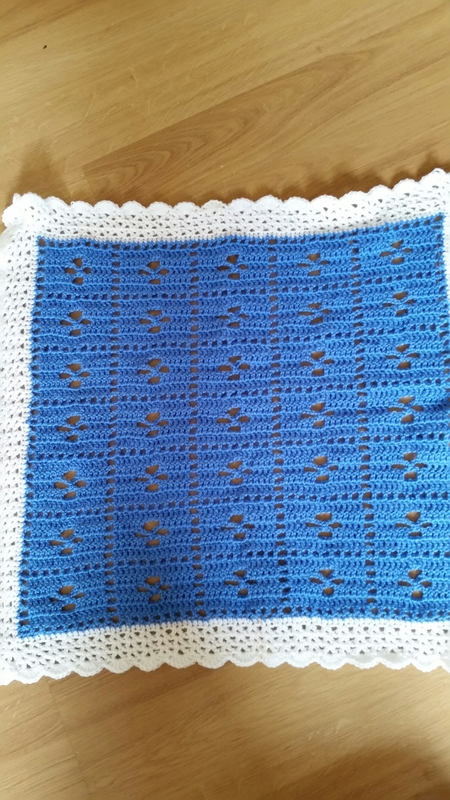 I did squares in one shade of blue, and joined with rhe same yarn, followed by a v stitch border. 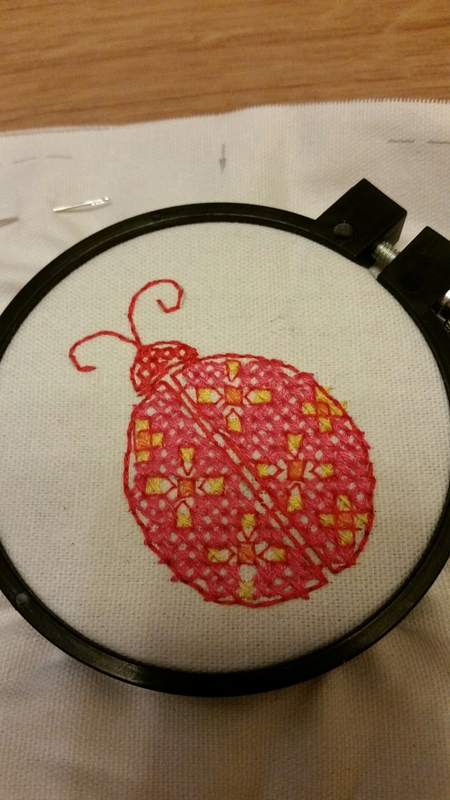 I really like using the granny stitch. It works up so quickly, and I tend to forget about it now that I can do so many other stitches. These blankets were all so much fun to make. I have been able to give one to a friend already and I can’t wait to be able to gift the other 3! 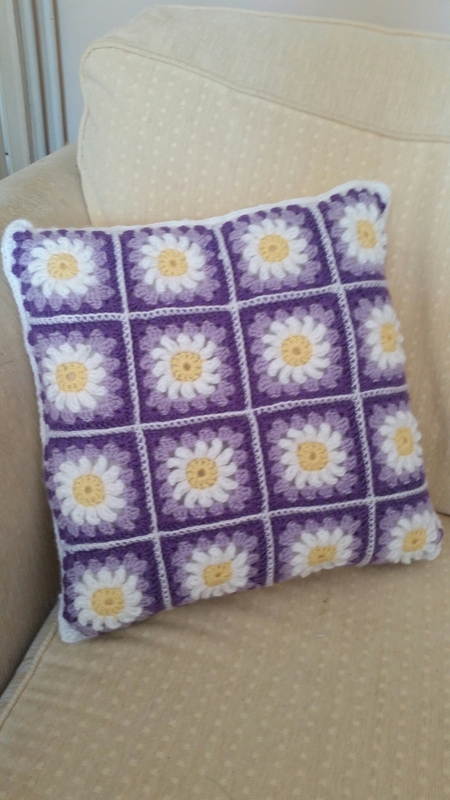 I have made a lot of different crochet projects, using different yarns and techniques. One type of yarn I was eager to try was the fabric yarn. So I was over the moon when I went to the knitting and stitching show and came across Wool And The Gang (woolandthegang.com) with their table of mixetape yarns and kits. 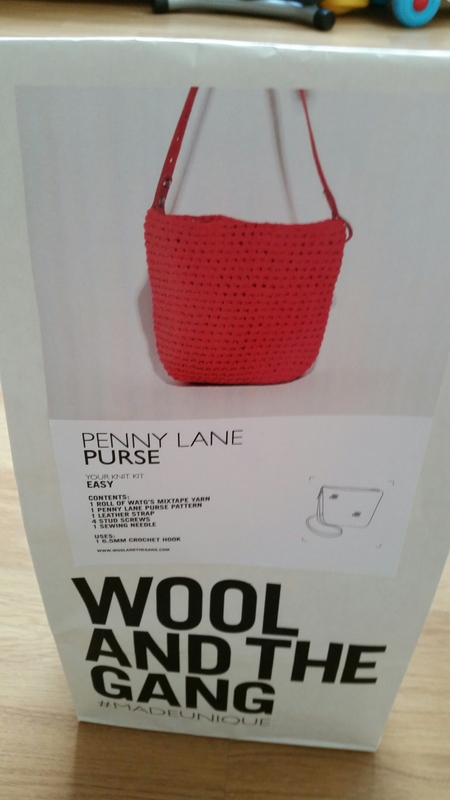 Something else I have wanted to try is crocheting a bag so I was delighted to have the chance to try the Wool And The Gang kit for the Penny Lane Purse. 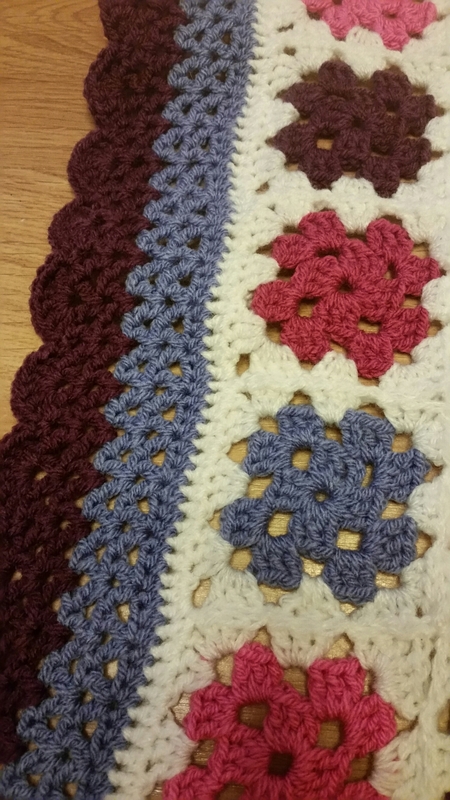 There are lots of different kits, patterns, yarns and ideas on the website for both crochet and knitting. 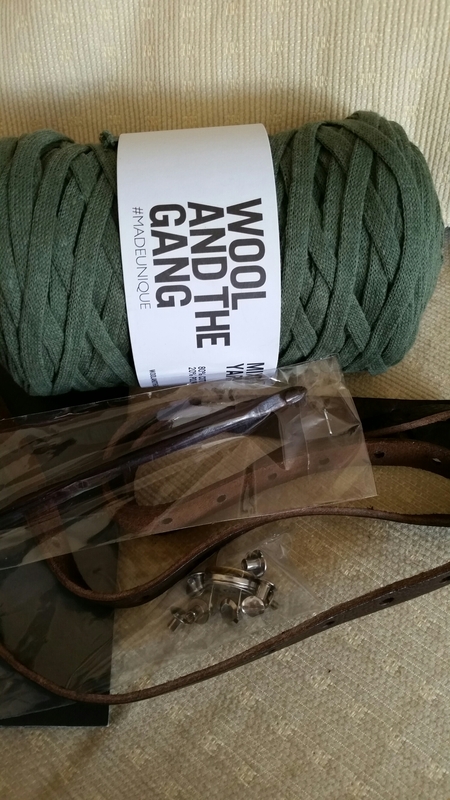 This particular kit starts from £29.99 and you can choose the colour of the yarn and the strap. 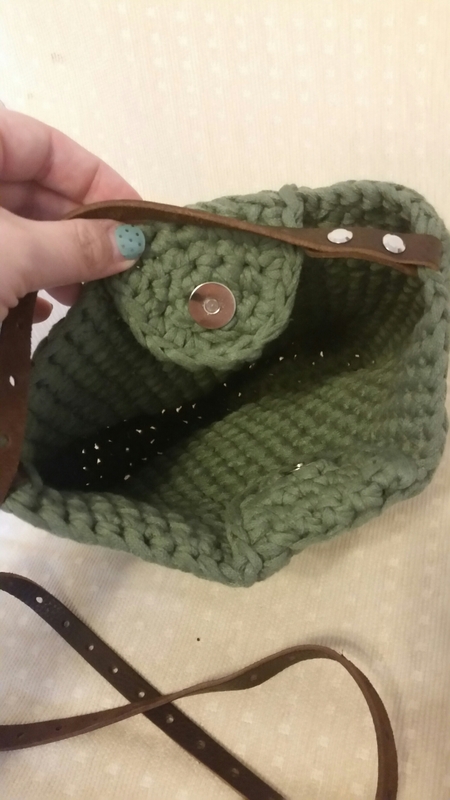 You also get the added option of whether or not you need them to include the crochet hook in the correct size for making the bag. 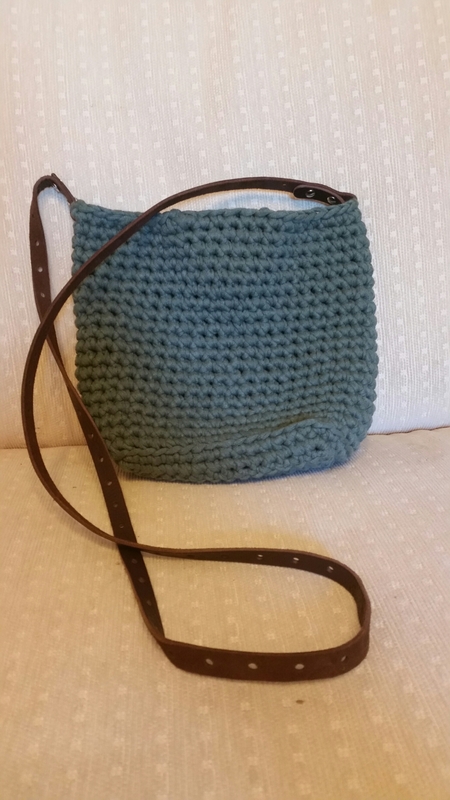 I decided to go with a khaki coloured bag with a brown strap. I have never done anything quite like this and was almost put off by it being something so different to what I am used to. I am so glad I went ahead and started it. It was so quick and easy, and the instructions were easy to follow. I did get stuck at one point and had a look on the video tutorial on the website which was a great help. Everything had been thought of for this kit. 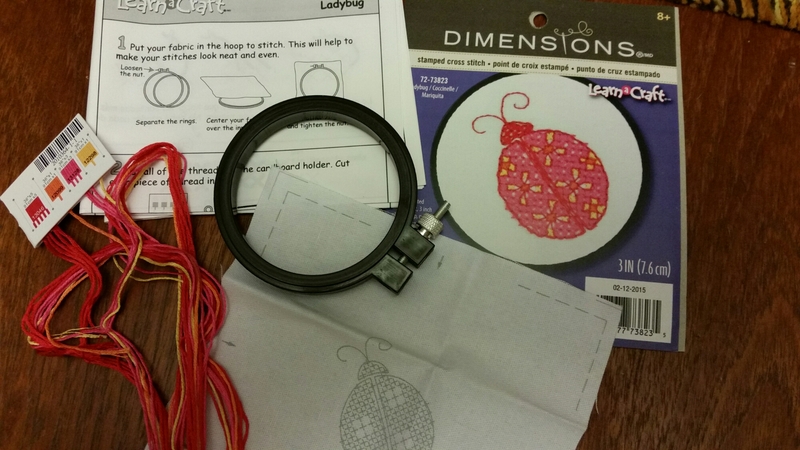 It had a needle to sew in the ends, all the pieces needed to attach the clasp and the strap, an instruction booklet which included a printed ruler so you can measure your work and make sure it is the same size as needed in the pattern. This was so fun to make and I love how it turned out! I will be using this bag a lot as it is one of my favourites! Lots of room inside, a magnetic clasp to keep the bag shut and keep my things safe inside, and its so stylish as well! I will be buying more kits from Wool And The Gang as this one was so much fun! 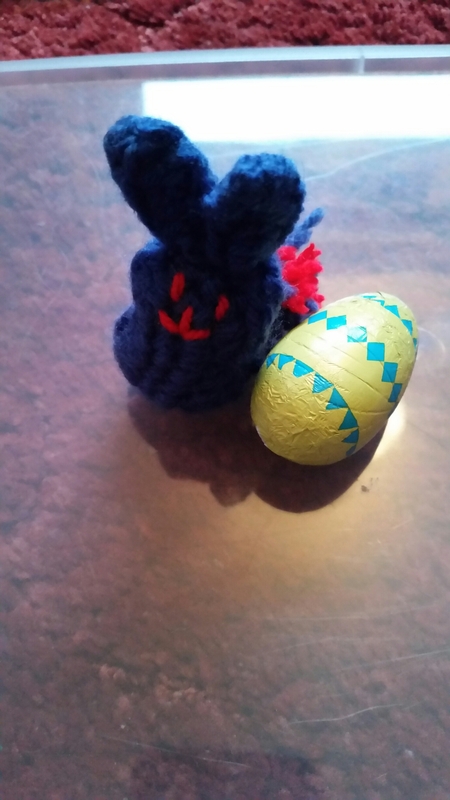 My boys wanted to give their teachers something for Easter. I wanted something small and simple but with a personal touch. After trawling through Pinterest I found these cute little bunnies!! 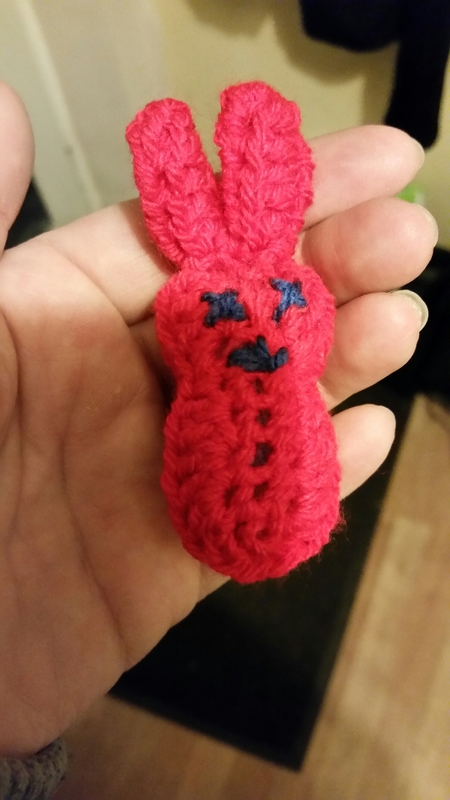 I used some scraps of yarn and instead of using beads which I didn’t have, I stitched the face on. I’ve been saving the plastic eggs all year from the treats the boys got after school. Like a plastic version of a kinder egg. But you could also buy the empty eggs in supermarkets. The chocolate eggs I got in co op. I thought they looked cute and were just the right size to go with the bunnies. 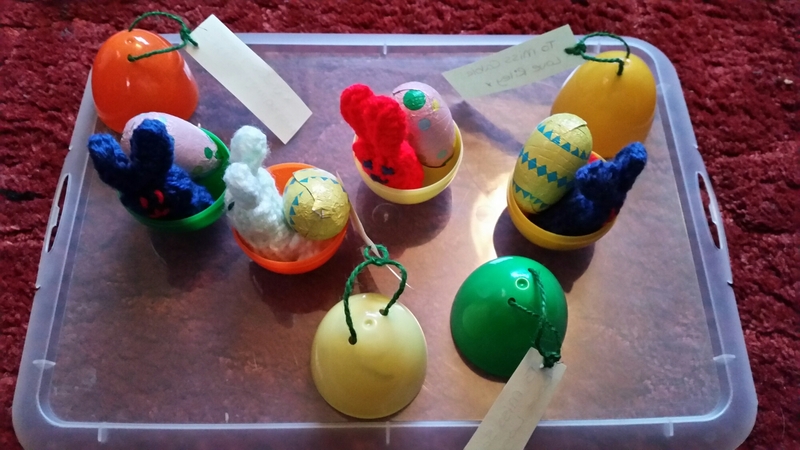 The boys are looking forward to giving their teachers these simple but lovely gifts! Ive heard a lot about these blankets. Its referred to as a C2C which simply stands for corner to corner. 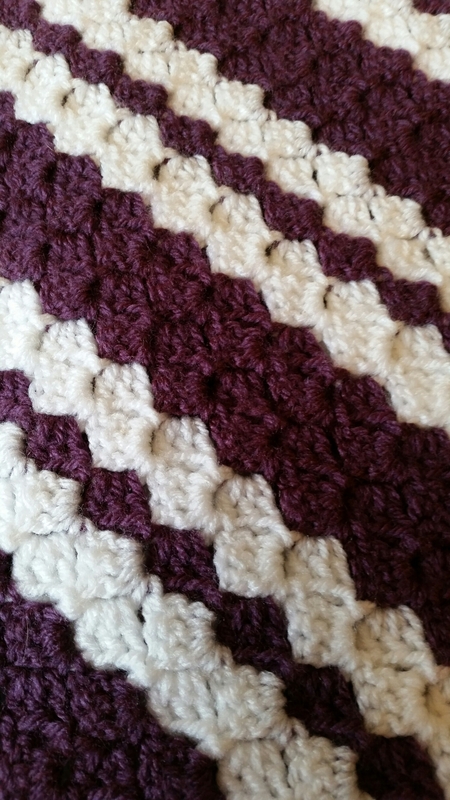 As it sounds, you start in one corner and increase the row by one block of stitches every row. When you have got the blanket as wide as you want it, you decrease again until you are in the opposite corner. This is another Christmas gift that I have made in advance. The person this is for likes purples and reds. 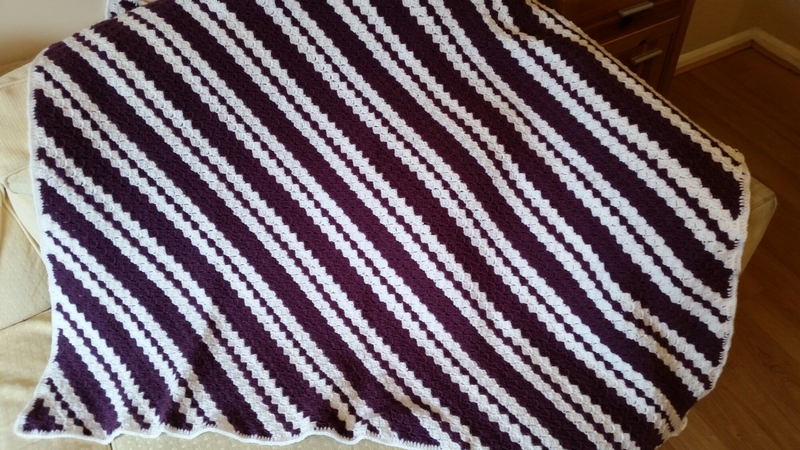 I didn’t want it to be too many colours so I stuck to just purple and white in a classic stripe pattern. 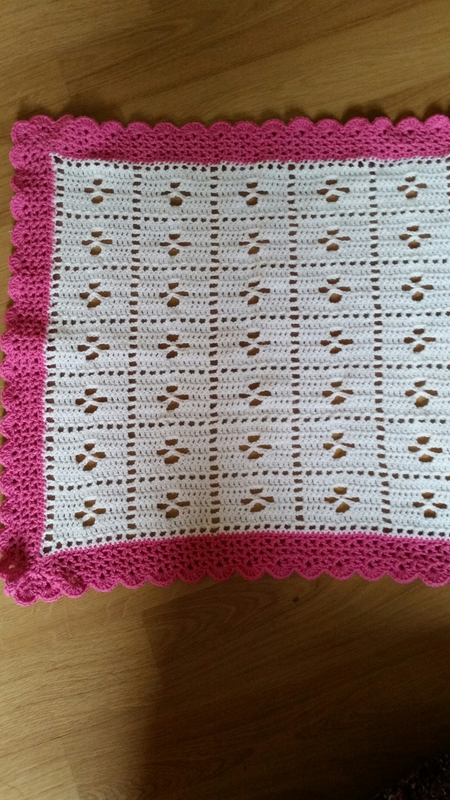 I wanted a simple border around the outside so I stuck to treble crochet (UK terms) in white. I’m really pleased with how this turned out and cannot wait to give this at Christmas! I really thought about the recipient before starting and I think she will love it!